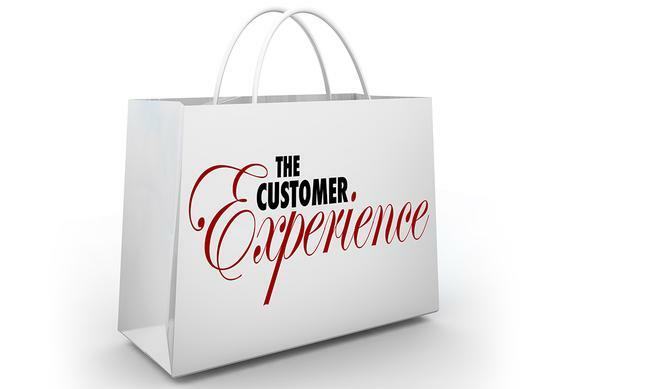 Are you losing customers over poor digital experience? Many of Australia’s largest brands are coming up short in delivering the digital experiences their customers really want, a recent survey found. Experts say staying competitive in the new digital economy means understanding how to deliver a delightful, personalised omni-channel customer journey. Yet SAP’s Australian Digital Experience report, revealed almost half of the report’s 3000 respondents (47 per cent) were unsatisfied with the digital experiences delivered by 34 of the nation’s largest organisations. Of those consumers identified as unsatisfied with their digital experience, just 17 per cent stated they would remain loyal to the brand. The report also identified a link between the digital experience and core business outcomes. Consistently across the brands assessed, poor digital experiences can translate to loss of customer loyalty and advocacy, two key metrics which impact on top-line revenue. In contrast, if a brand can provide a strong digital experience, the picture is completely different. Of those consumers delighted with their digital experience, almost three quarters (73 per cent) said they would remain loyal. The SAP report was based on consumers rating nearly 7000 digital interactions against 13 core attributes of a delightful digital experience including engagement, personalisation, responsiveness and simplicity. Be who I am: Respondents want experiences that are dedicated to them as individuals, experiences that appeal to or even predict their preferences, but without infringing on their privacy. Engage me: An engaging digital experience is one that responds to consumers and allows them to interact with and control the experience when needed. An engaging experience triggers an emotional response from the customer, building a stronger connection to the brand. Simplify my life: Service that’s simple just works, and consumers expect this from the brands they interact with. A digital experience should be cohesive, integrated and easy. It has to fit in with the consumer’s life effortlessly, available anytime, anywhere. The research also revealed the significance of a brand’s digitally influential customers and those highly engaged and vocal on social media and online commerce. Though making up only 9 per cent of all respondents, these digital influencers delivered an extremely high digital experience score of positive 33 per cent across all industries, underscoring the importance for brands to cultivate the digital competency of their customer base. While the industry analysis revealed the grocery retail industry is the leading performer when it comes to digital experiences, on the whole it had more unsatisfied consumers than ‘delighted’ ones. Banking and insurance were the next best performers, with telecommunications and utilities scoring lowest. Suncorp Insurance scored highest for the digital experience attributes of available ‘anytime and on my terms’ (50 per cent) and ‘respectful and dedicated to my needs’ (34 per cent). Overall, the organisation scored positively across 11 of the 13 attributes. Suncorp Insurance also had a higher than average percentage of digitally influential customers at 13 per cent. Head of marketing for SAP Australia and New Zealand, Jennifer Arnold, said those brands engaging effectively understand the power of customer insights and know what customers want. “Look at all the channels you are using right now, like social media, partners and market research and put it into a single view of your customer and understand the buyer behaviour and buyer journey,” she said. “It’s very different from a retail perspective, to a B2C perspective, to a B2B scenario. According to Ruthven, statistics in Australia for the last fiscal year revealed total ecommerce transaction were close to 20 billion. Importantly, the last six months of that was up 21 per cent compared to the prior year, he said. From a B2B perspective, Arnold claimed the proliferation of online purchase behaviour and the rise of the new digital economy has meant significant changes in buyer behaviour. In many cases, digital interaction is now the only interaction that a brand may have with their customers. To remain competitive in the new digital economy, Ruthven said brands need to pay attention to really getting to know the customer, access data across all customer touchpoints and then personalise real-time offers.